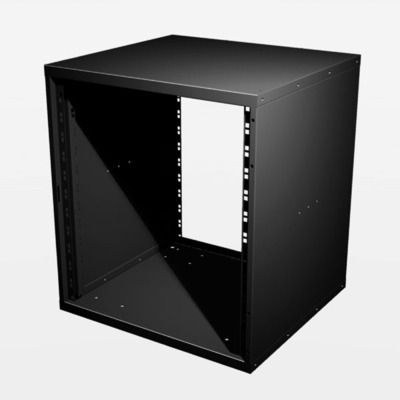 Racks can house all of your AV equipment, amplifiers, Sky boxes, cables and power distribution. They enable your installation to be neat, well managed and easier to maintain. Nexus and amps usually mounted at the rear. AV equipment front facing on shelves. Rack mount fans can be attached. Heat dissipation is important particular if there is a lot of equipment in a small cupboard. Dimensions 480mm depth. 522mm width.